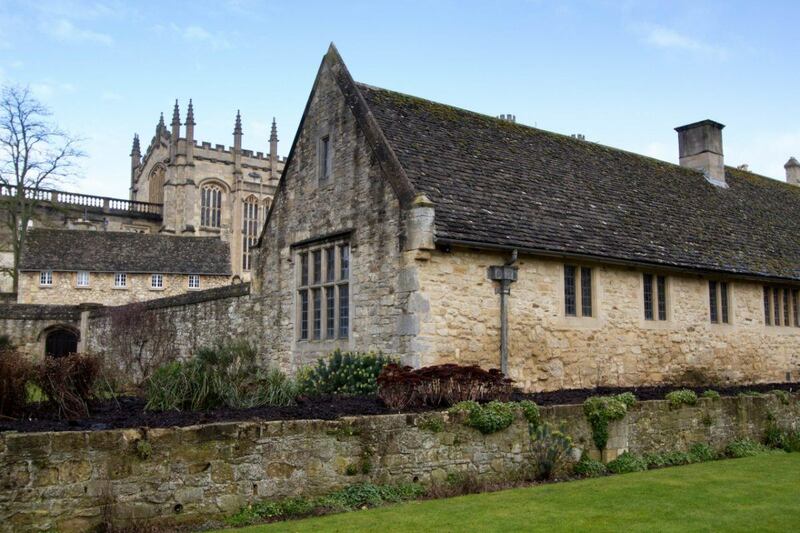 The Best Little Museums In England? It had been gray, dreary, and rainy for what seemed like months here in Germany. We hadn’t gotten out much during those weeks. We needed to get out of the house. We were snapping at each other for every little thing. We’d just been stuck indoors for way too long and cabin fever took hold of us. We needed a trip. I pulled up the RyanAir site. Please let there be cheap tickets! Please. Nuremberg to Stansted for a handful of Euros? Click. Done! Okay, maybe I should have thought that early spring in England was going to be just as gray, dreary, and rainy as Germany had been, but to be honest, I just didn’t care. It was gray somewhere other than home. It’s amazing how quickly buying a ticket makes us feel happy. We only had to make it through one more day of work and off we would fly. Deciding to forgo London on this trip, we chose a smaller town, a little further out. For this we would need a rental car. Check. The car was waiting for us in Stansted when we got off the plane and through border control. Before we knew it we were on our way to Henley-on-Thames. Our romantic getaway was a charming little pub plus bed and breakfast right by the boat club, so in summer this little town may be overrun, but in early spring there were not too many non-locals about. We settled into our quaint and comfortable room at the Baskerville and couldn’t wait to have a pint to get the weekend truly started. 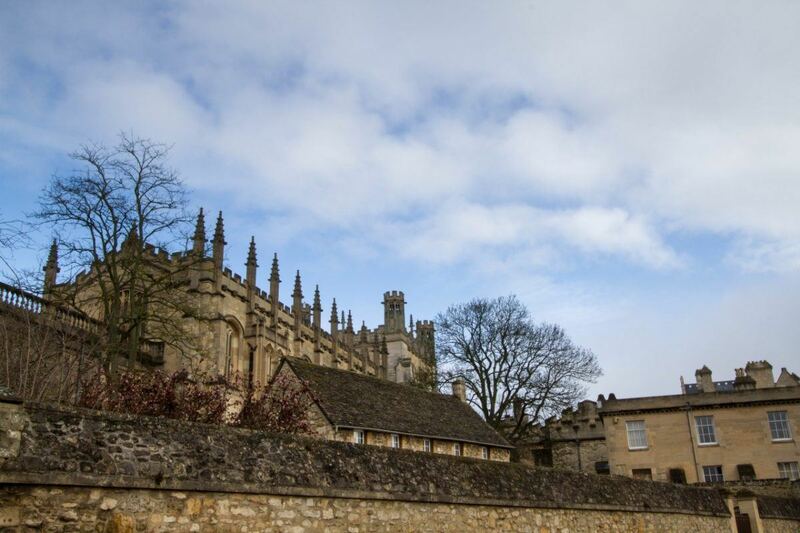 The next morning, after a perfect English breakfast we drove into Oxford looking for fun things to do. Even though my mom had lived 12 miles north of the city for about five years, we never seemed to get there. We were anxious to find a couple of museums to wander, as well as just walk around the university buildings and have a good lunch. We are pretty easy to please. Downtown we walked and walked, listening to a few buskers, trying to decide if we wanted to sample the food trucks, and even wandering into a couple of shops before finding lunch. We had a normal pub lunch at The Bear Inn. It hadn’t done more than a misty sprinkle on us, but getting into a warm pub, sitting in the window and filling up with a pie…really what else is there to life? It was a good thing we had a hearty lunch. We didn’t know just how long we’d be museum-ing, and that was after we spent way to much time finding a parking space. To be honest, we were a little taken aback with the parking situation. 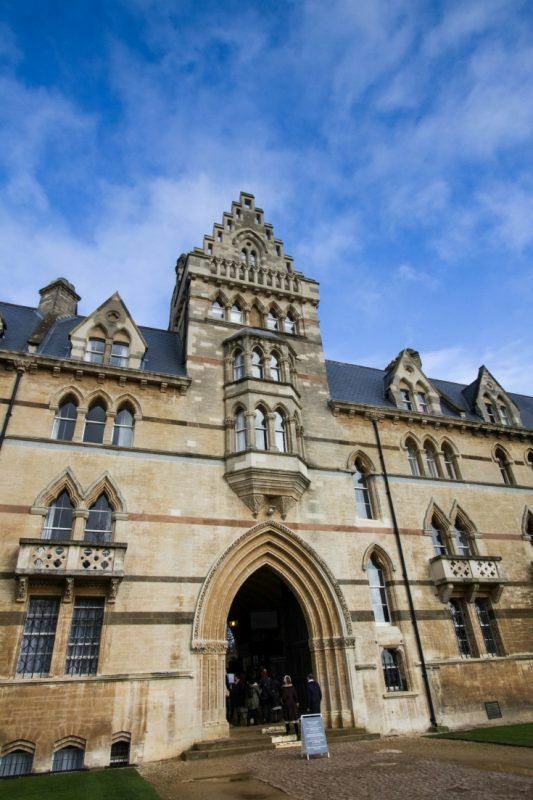 It all started off okay while we were in the center of town, but then when we moved the car to find the Natural History and Pitt Rivers Museums…well, let’s just say we almost threw in the towel. Finally, we were lucky and greedily grabbed up a space when the only person we’d seen in ten minutes drove off. Phew! Both of these museums were an absolute blast, from the architecture of the buildings themselves to the overflowing exhibits. 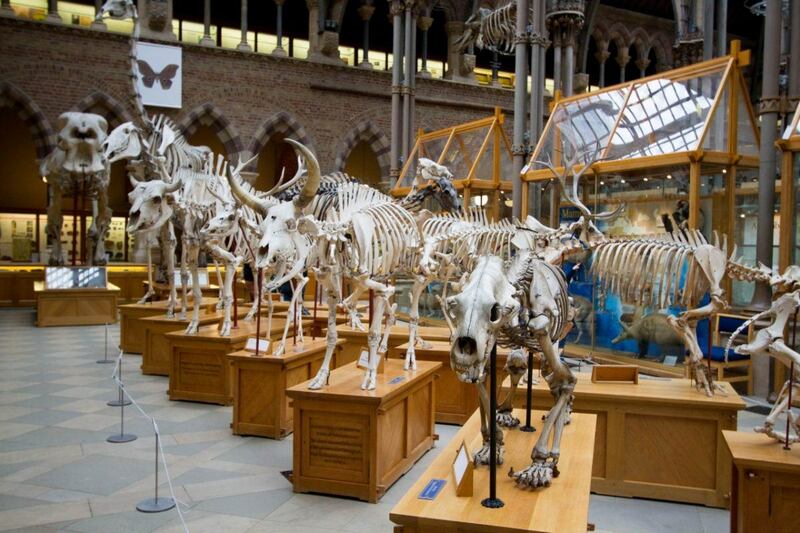 Of course, we started off in the well-lit Natural History museum impressed with all the specimens that Darwin and his contemporaries brought back from their voyages as well as the dinosaurs and extinct animals and birds. We were thrilled to see remains of the Dodo which even gained more importance to us after our trip to Mauritius where these birds became extinct. 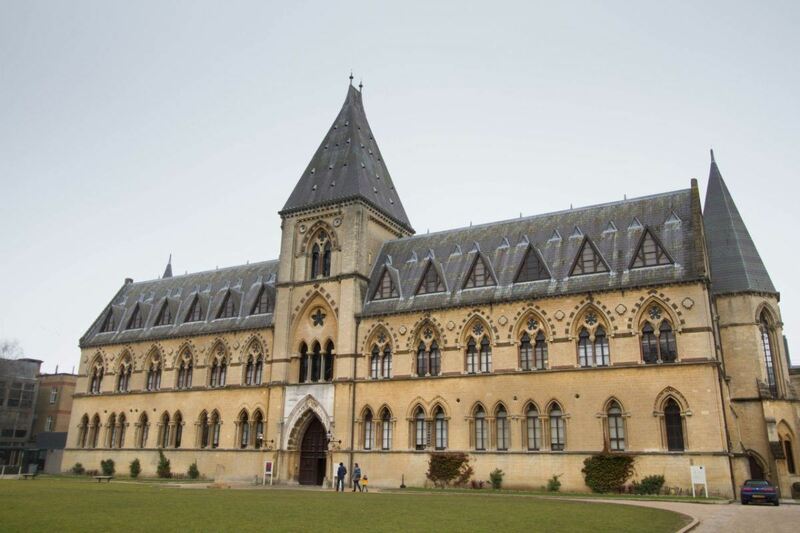 We were having so much fun, that we were running out of time on our parking meter and really I had been most interested in our last stop of the day, the Pitt Rivers Museum. 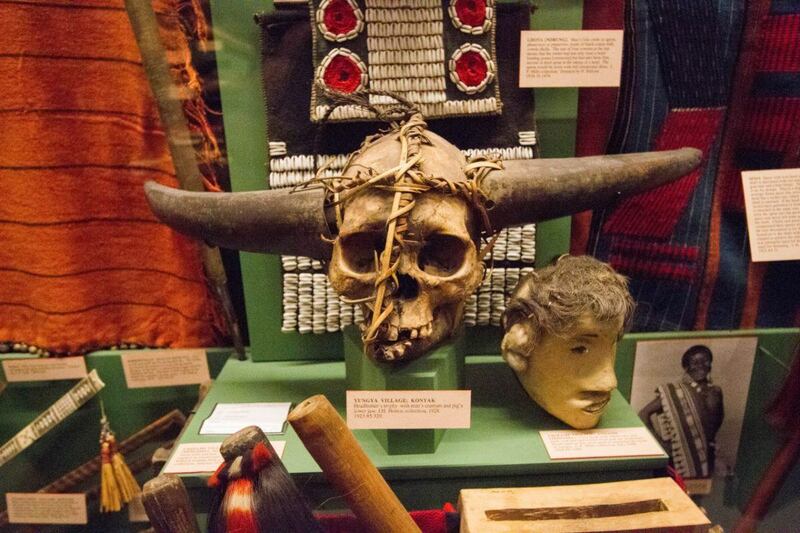 I’d read about the Pitt Rivers in a travel blog and it had thoroughly intrigued me. I’d always wanted to be an anthropologist when I grew up, but the idea of impatient me brushing at millimeter after millimeter of dust, day after day, to maybe find a pottery shard–I just knew it really wasn’t for me. Instead, I just read and go to as many ancient sites and anthropological exhibits that I can find. 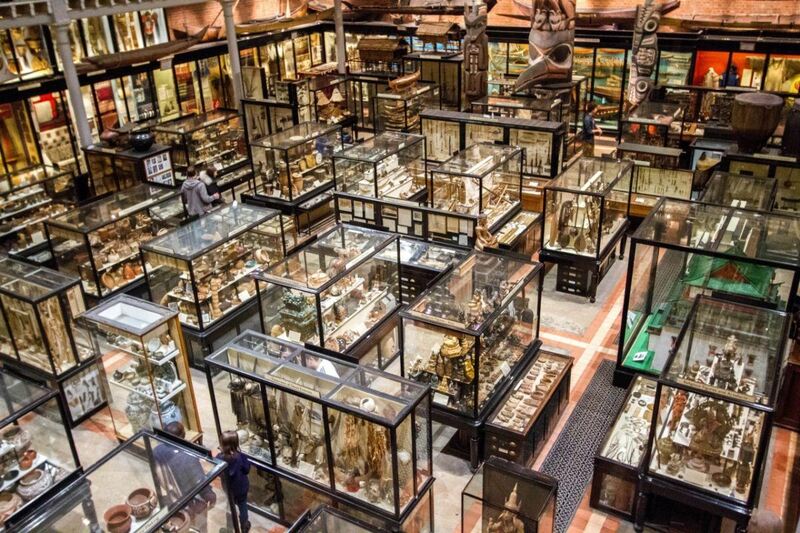 The fact that the Pitt Rivers exhibits were reputably less than perfectly organized (read “cluttered”) just made me more fascinated. As a self-proclaimed clutterer I was thrilled as soon as I stepped into the main exhibition room and saw the many glass cases stuffed full of ethnographic treasures. 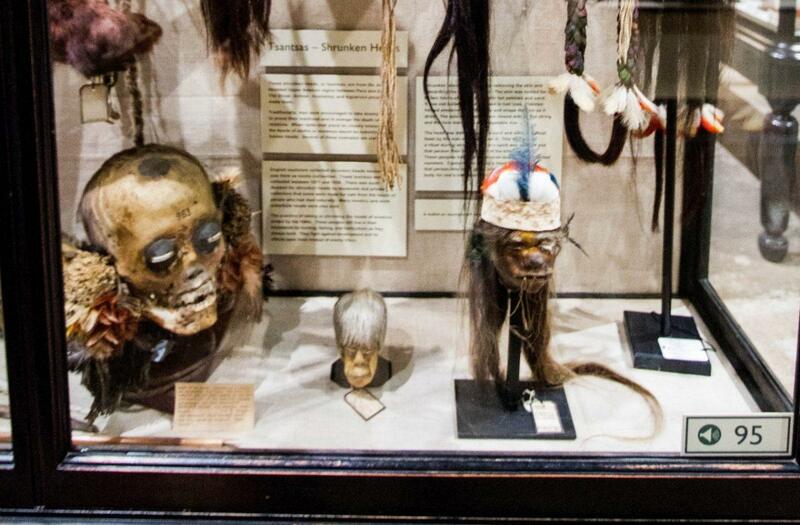 And here we have some of the famous shrunken heads. After finally feeling a little museum-ed out, we dashed through the now pouring rain and soggily wound our way out of town and back to our little Henley pub for a pint and a sit down dinner. We woke up to a drizzly day. The window was a little misted up with a few full rain drops dripping down to the ledge. Lazily, we took our time indulging on our breakfast of eggs Benedict, but finally we jumped in the car and headed to the Cotswolds. Even though we had a destination in mind, we were really just out for a ride so we tried to stay off of the big highways and took the small, winding roads instead. Even without leaves on the trees and rain coming down, we enjoyed the views and stopped many times to take photos. 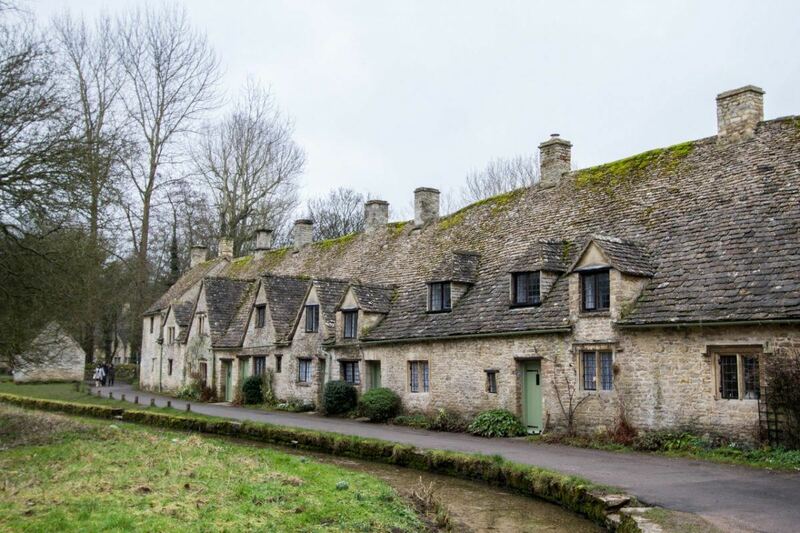 When we arrived in Bibury, we snapped image after image. Yes, the houses would look that much more quaint with green ivy, blooming roses, and a little more color, but really it was just a matter of degrees. The cottages were still quaint. Surprisingly, we weren’t the only tourists wandering about, snapping away. Damp but happy, we started looking for a small bake shop or café where we could take some lunch. Not wanting anything too big, we loved the sandwiches at The Catherine Wheel on the hill above Arlington Row. After lunch we continued our drive, up and down hedge-rowed lanes until we finally found ourselves back at our quiet little pub in Henley on Thames. 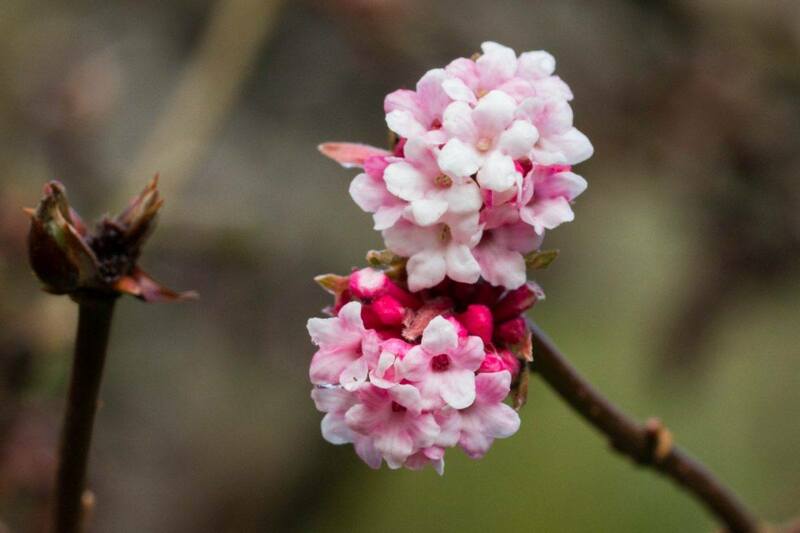 The first signs of spring? 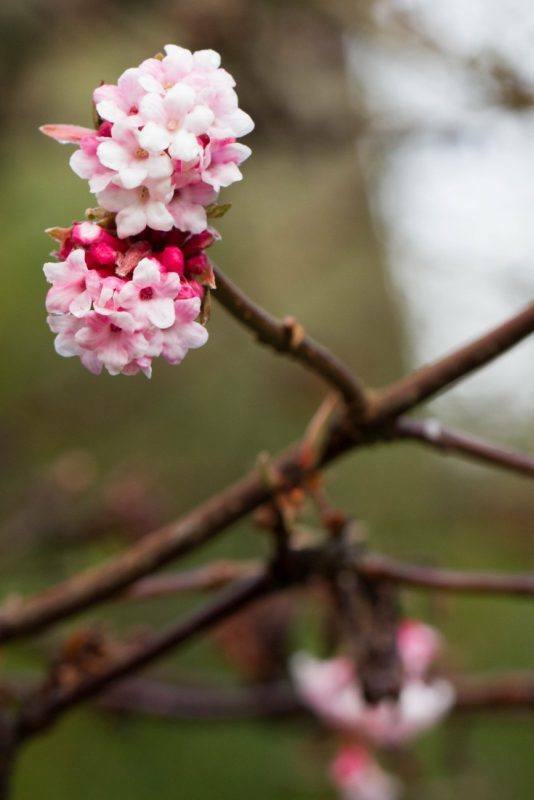 Or just a late winter flower? By now, we were used to the gray drizzle, but when a break opened up and the blue sky peeked through, our energy levels peaked. It was time for a walk along the river. There were row boats on the river, folks out for a jog, bike riders, and dog walkers. A spontaneous cricket game was underway in riverside field. The birds were singing and there was a hint of buds beginning to show on the trees. OK, maybe that last bit was my imagination, but the whole world was somehow brighter and the idea of returning to our regular work week in Germany was much more bearable. 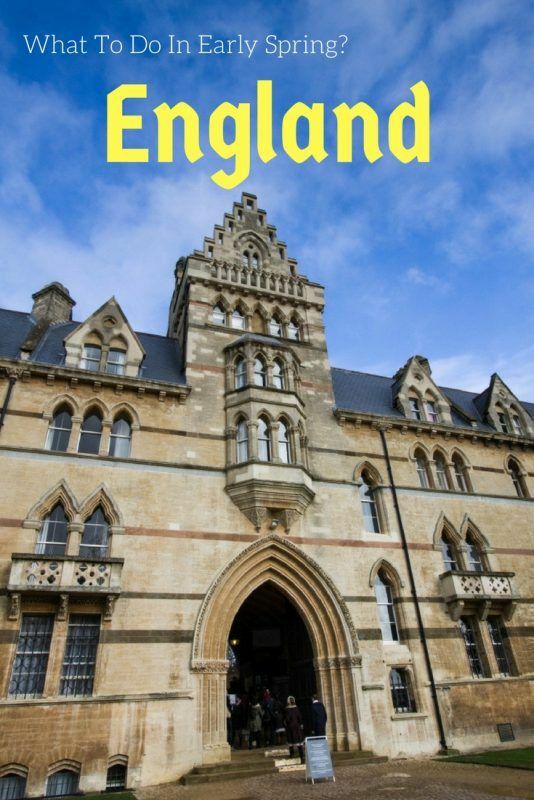 Additional Reading: English Folk Music and Travels in the United Kingdom. Getting there: We rented a car and drove. Our itinerary was basically Stansted – Henley-on-Thames – Oxford – Henley – The Cotswolds -Henley – Stansted. We can’t recommend The Baskerville highly enough. But it is a small, cozy inn and may not be available. 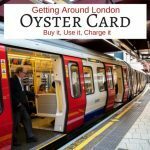 You might like some of the other options in this quaint corner of England along the Thames. 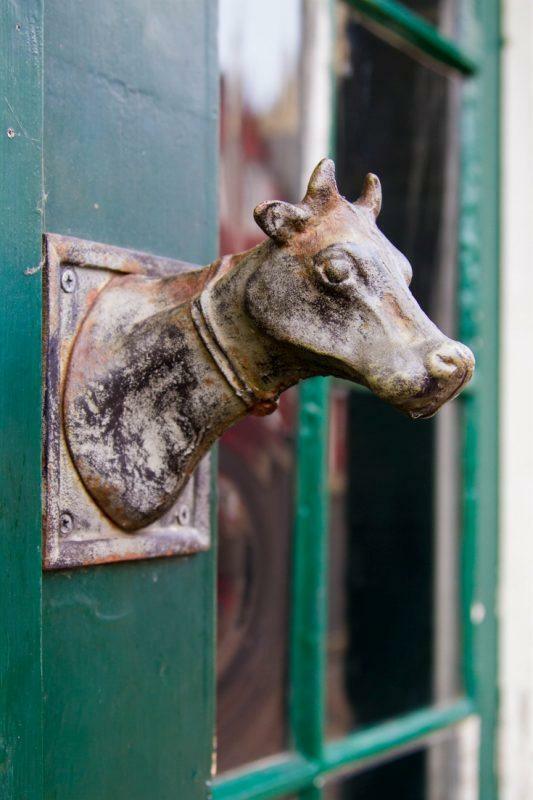 If so, click here to explore other pubs and B&Bs in the area. 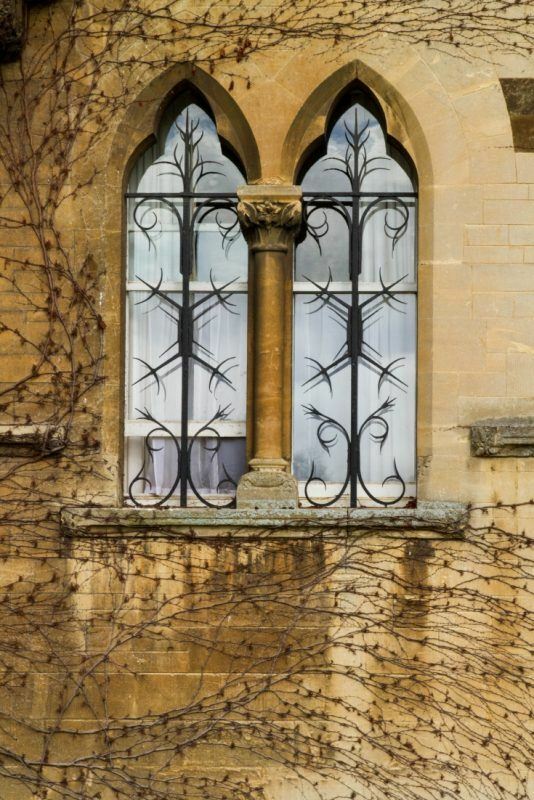 Pin a romantic English getaway for later! 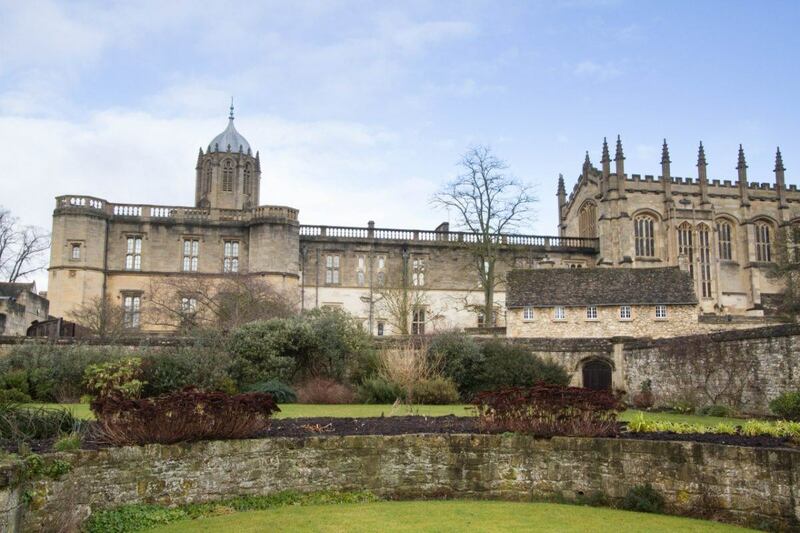 It seems that Oxford greeted you with very beautiful weather. I’d love a romantic week-end like that. Is it difficult to drive on the “opposite side of the road”? I think I would have a very hard time driving in England. Anda, We’re used to driving just about anywhere and going from right to left doesn’t really bother us too much. The weather through it all at us that weekend, but it didn’t take away from that comfortable travel feeling that I love so much. Gabriela, I agree. I’m taking a few weekends off…but then it’s on! Have a great summer. I have done the same sort of trip a while ago and I was surprised by how nice it is in England. 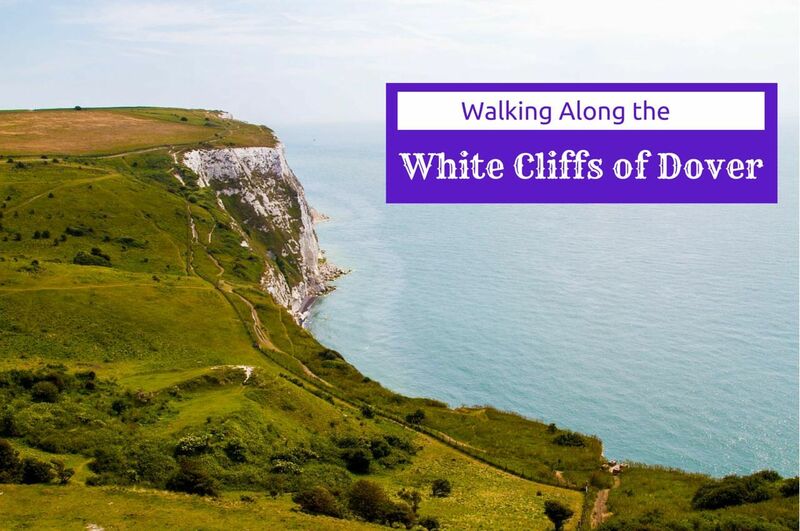 I never thought of it as a holiday destination, but I loved the scenery, the historic buildings and I was also lucky with the weather at the time, so maybe the weather is not that bad after all 😉 nice post! The architecture of this place is stunning. Love those museums though the skeletons and skulls looks scary. 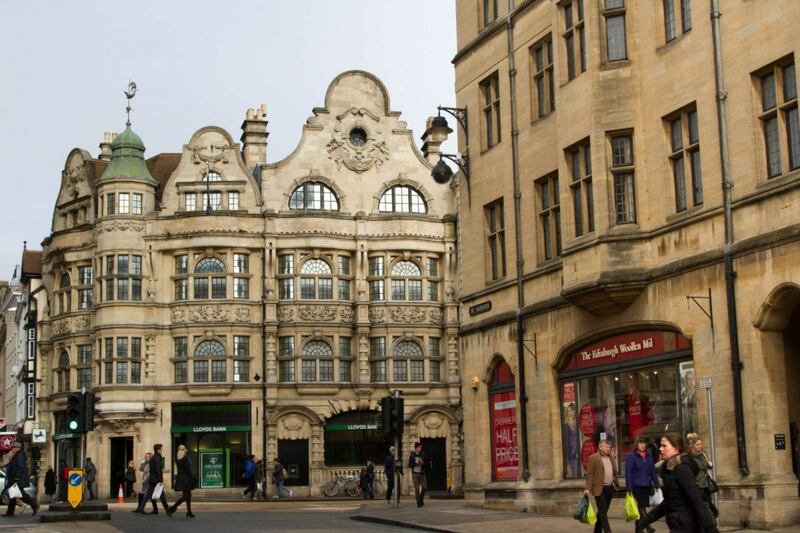 Oxford is full of beautiful buildings like these. 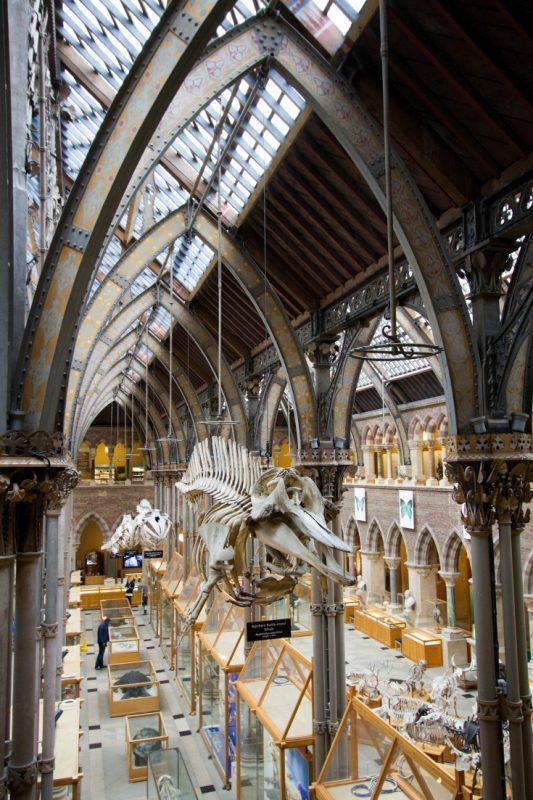 The Pitt Rivers museum is packed full of so many amazing artifacts, it’s impossible to see everything in one go. I certainly wasn’t expecting a story about a romantic weekend to start at the Ryanair terminal! It looks like you picked a great spot to get way to though. Dean, It was. We had a wonderful time, but really sometimes it’s just about getting away! 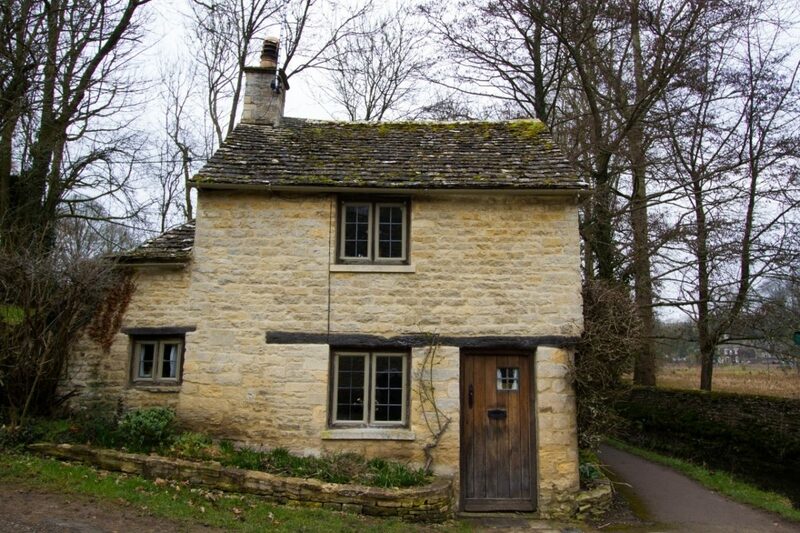 I love that Arlington Row in Cotswold! Carolina, It is pretty, isn’t it? Beautiful photos. Spontaneous weekend trips always make everything better! Thanks for sharing! Elisa, We had a wonderful time, and we truly needed it. You’re so lucky to be living in Europe. Countless fantastic destinations are within easy reach. 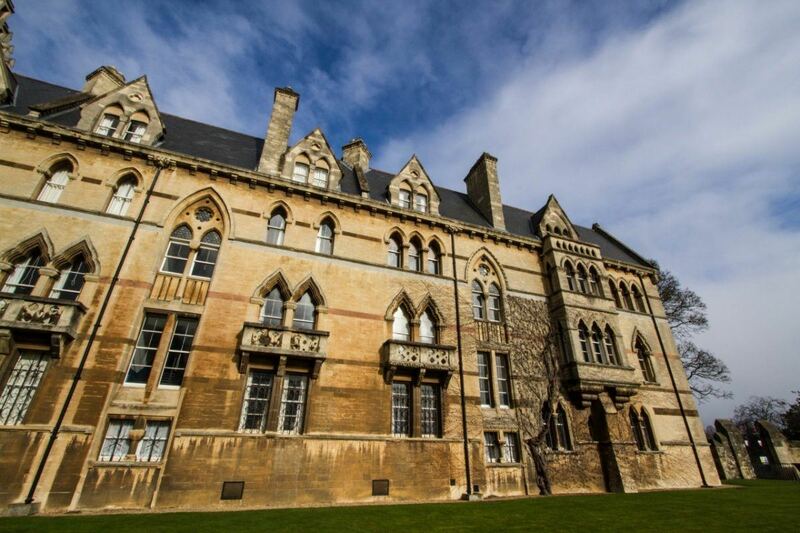 Oxford is a great option for a short visit. The countryside is so classic. Love it. Punita, Classic is a great way to describe it. It as magical. Vicki, So true. Yes, we enjoyed every minute of it! It’s always the same with us, Claire. The places in our own backyards are the ones we never get to! 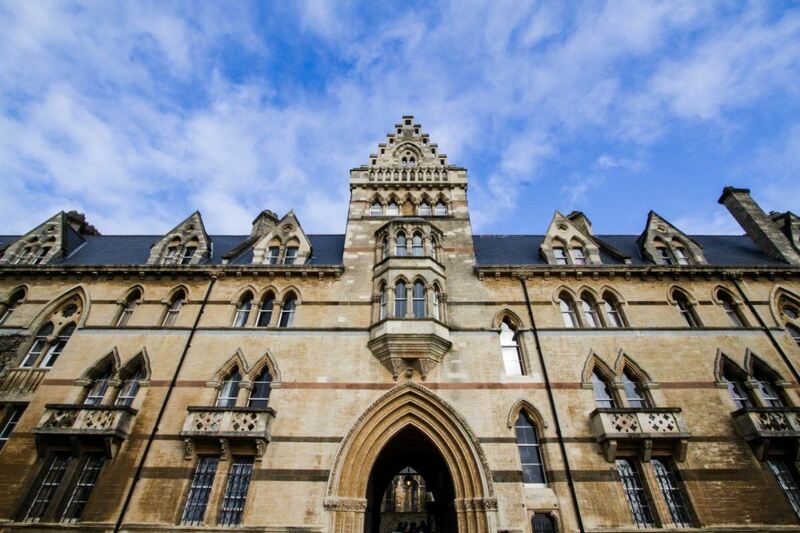 You really can’t beat the English countryside… particularly where the architecture is concerned! LC, You can say that again. It’s stunning!